Traditionally, the basis of strength training programs has been built around the One Rep Max (1RM). The 1RM provides a quantifiable number to prescribe %1RM loads to periodize a program in hopes of consistent gains. A flaw of this method is that our true 1RM number can fluctuate based on a host of variables over the course of a training program. Anyone that’s lifted consistently can tell you, somedays you just don’t have “it” at the gym. A program can call for a weight that’s 80% of your 1RM but on certain days that exact number feels heavier than normal. Conversely, there are other days where that same lift at 80% of your 1RM feels significantly lighter. A 1RM can fluctuate because of a number of reasons including sleep quality, recovery level from previous training sessions, nutrition/supplementation, time of training sessions and stressors(personal, professional, etc). Lifting heavy loads in a subpar state can leave one susceptible to injury. This is why some lifters use the RPE scale to optimize performance at each training session for continued and safe progression. The RPE (Rate of Perceived Exertion) scale has traditionally been used for prescribing aerobic exercise based on a 6-20 scale with 20 being the highest. 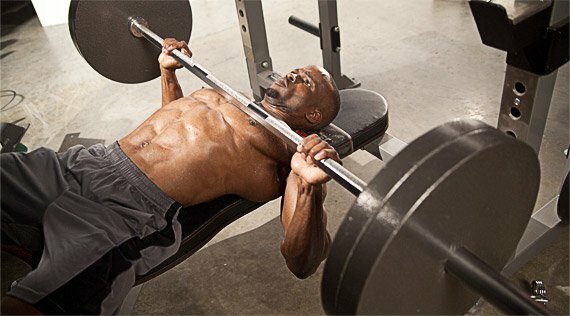 Lifters use a modified version typically with a range of 6-10 based on repetitions in reserve. The major difference between the two methods is that the %1RM is based strictly on the external load(the weight on the bar). Whereas an RPE scale relies on the internal load(how heavy the weight feels). As an example for a lifter who’s squat 1RM is 300 lbs, using the %1RM method if the program calls for 5 squats at 80% 1RM this would be 240 lbs. For that same lifter relying on the RPE scale this would be the equivalent to an RPE of 8 but depending on the state of the lifter during the workout this could mean they lift less (or more) than 240 lbs depending on how they’re feeling that day. This allows lifters to auto-regulate their program so that they can account for different stressors that impact performance. According to research, the RPE scale has a strong relationship with %1RM which means lifters can use more precision during each training session to work closer to the % of their true 1RM for that day. Researchers compared Average Concentric Velocity(ACV) and RPEs on the squat, bench and deadlift. They had 15 powerlifters work up to their 1RMs for each lift. The RPE was recorded on all sets and ACV for all sets at 80% of their 1RM up to their 1 RM. A very strong relationship was observed between percentage 1RM and RPE on each lift. The research also showed a consistent relationship between 1-RM RPE and ACV. One caveat about this lifting method is that it appears to be more effective for lifters with some experience compared to novices when it comes to the heavier weight ranges. This is likely due to experienced lifters having a better sense of their capabilities as the novice lifters tended to overestimate how much more they could lift at the heaviest weight range. A study compared the RPE rating values with the 1 RM experienced and novice squatters. The average velocity between the same intensities was also measured between the two groups. There were no differences between the groups at lower percentages of the 1RM (60, 75%) however at 1RM the experienced group reported higher RPEs than the non-experienced group. For the most part, lifters are able to accurately rate intensities of loads across a wide range, especially at higher rep ranges.